Atletico Madrid is living in the shadow of the big brother Real Madrid, but most football fans still know that this is one of the best teams in Europe. They proved it by getting to the Champions League final in 2014-15 where they played against Real Madrid. Unfortunately for them they lost the match, but still they proved that Atletico Madrid is one of the best teams in Europe. Do not miss out on their future, but follow these instructions telling you how to watch Atletico Madrid online. Here you can read more about the history of Atletico Madrid, read about famous players, see how Atletico Madrid is doing in La Liga currently, find info about their upcoming matches and results from their last matches, and most important – how you can watch Atletico Madrid online. Atletico Madrid or Club Atlètico de Madrid is a Spanish football club that was founded in 1903. Atletico is officially the third most successful and popular football clubs in Spain after Real Madrid and FC Barcelona. Atletico is based in Madrid and it also plays in La Liga in which the club won ten times and it also won the Europa League in 2010 and 2012. 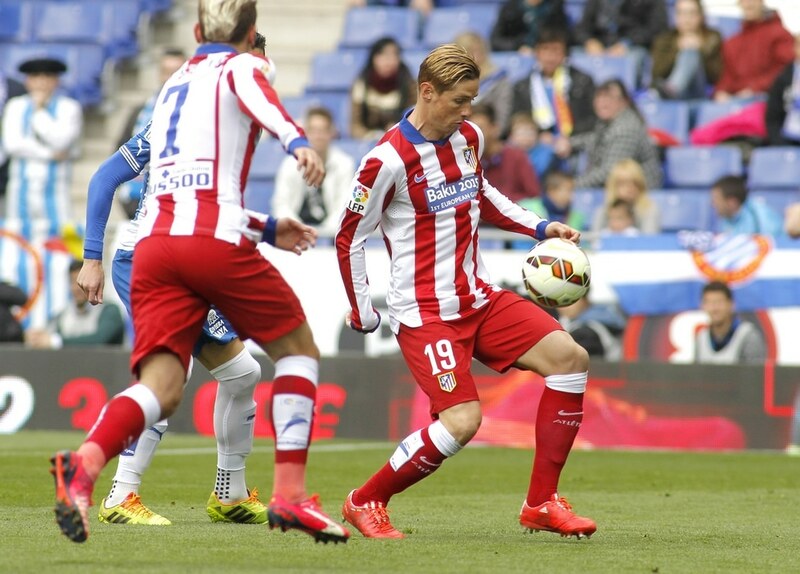 Atletico’s home kit is red and white vertical striped shirts with blue shorts combined with red and blue socks. The club had its Golden Age between 1947 and 1965 when Atletico seriously challenged FC Barcelona for the second place. Atletico Madrid always had some of the best players in its club such as Juanfran Torres, Diego Godín, Raúl Garcia, Mario Suarez, Hugo Sánchez, Kiko Narvaez, Diego Simeone, Carlos Aguilera, Paulo Futre or Marcos Alonso who also played in the colours of the club. In the present team we can enjoy the game of Fernando Torres, Gabi, Diego Godin, Miguel Ángel Moyá, Koke, Jan Oblak, Óliver Torres, Tiago Mendes and so on. Atletico Madrid plays its home games at the Vicente Calderón which has the capacity of over 54960 spectators. Vicente Calderón was opened in October in 1966 and it is located in the the heart of Madrid in the Arganzuela district. The stadium not only gives home to the games of Atletico Madrid but it also regularly hosts other international games. The Stadium was also classified as a 5 Star UEFA Elite stadium. The club will move its home to another stadium, to the Estadio La Peineta which will host the new games of Atletico Madrid. The new stadium will have the capacity of 70000 spectators. Are you dreaming of watching Atletico Madrid together with more than 50,000 spectators as they play a match at Vicente Calderón? If that is you, then you have the chance right now, because at Viagogo you can buy tickets for almost all Atletico Madrid matches played. This is not only for their matches played at Vicente Calderón, but also for away matches and matches played in the Champions League and in other tournaments. As one of the best teams in Spain there is a lot of attention around Atletico Madrid and there are lots of fans worldwide who would love to see their matches online. The question is how you can watch these matches online on your laptop, computer, Mac, tablet or phone. There is not one single answer to all questions, but there are different answers depending on what kind of match being played. If they are playing a match in Liga BBVA then you can follow this guide which will give you an answer on how to watch the Atletico Madrid matches online. If they are playing in Champions League then you can read more about how to watch Atletico Madrid play Champions League matches in the following article. Hope these articles will help you, but if you have trouble or a question, just write a comment and we will do our best to help!